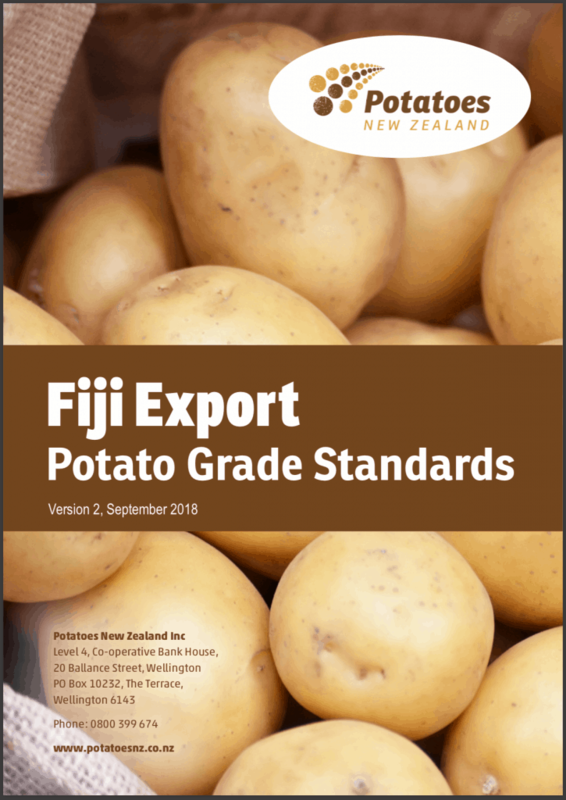 The latest version of the “Fiji Export Potato Grade Standards” is available in the PotatoesNZ document library. The document publishes the standards for grading exports to Fiji and should be consulted in conjunction with relevant MPI guidance. PotatoesNZ maintains useful information for exporting to a variety of destinations on our “Market Access” page.